Silver tone ribbon clamp clasps also known as cord or crimp end clasps with a textured finish. These have a top ring where you can attach a clasp or jump ring and a long row of prongs that clamp easily on hemp, leather or ribbon. 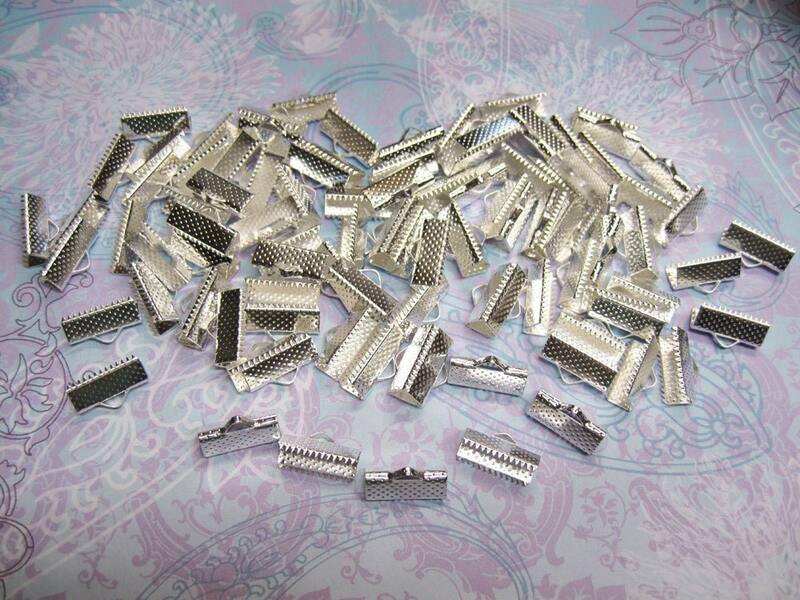 These can also be used successfully on loom work as the end clasp. I recommend using a small amount of glue prior to closing the clasp - this will give added security.